Get Involved with the Foundry! Check out the pour we just wrapped up in Conway, AR in relationship with UCA Sculpture Club! It was a hot one in the sun, but that didn’t stop our crew from tapp’n, pour’n, and charg’n. Thanks so much to Ariana Berman, LX Aguirre, and the University of Kentucky S.C.R.A.P. for driving across state lines to pour metal with us!. Be a part of our next iron pour! If you are one of those people with a thirst of molten iron, you should be a part of our next iron pour! We welcome individuals with any level of experience (even NO experience). Our experts had to pour iron for the first time, so why not you!? Please fill out our Contact Form and check the box "I want to pour iron with y'all!" Make something with the Female Foundry! Do you have a project in mind for yourself or for the community? Our experienced artists will work as a team to make your ideas become a reality! Fill out our contact form and tell us about your idea. THANK YOU, to the Harnisch Foundation and the Awesome Without Borders Foundation for awarding us a grant to start our own foundry! 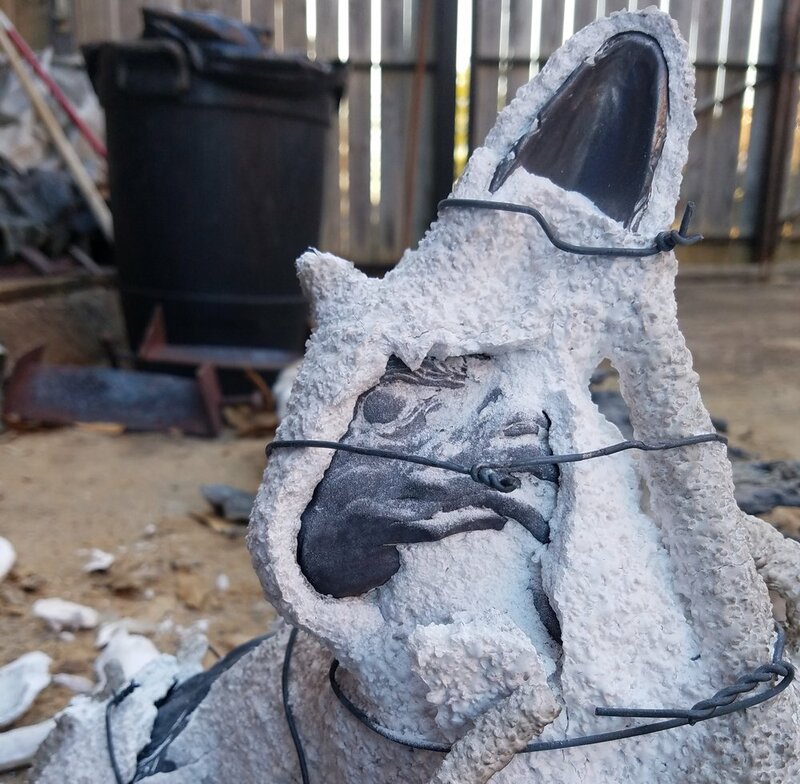 This $1,000 will go towards the materials and equipment necessary to build a furnace and host the first iron pour of the FEmale Foundry.